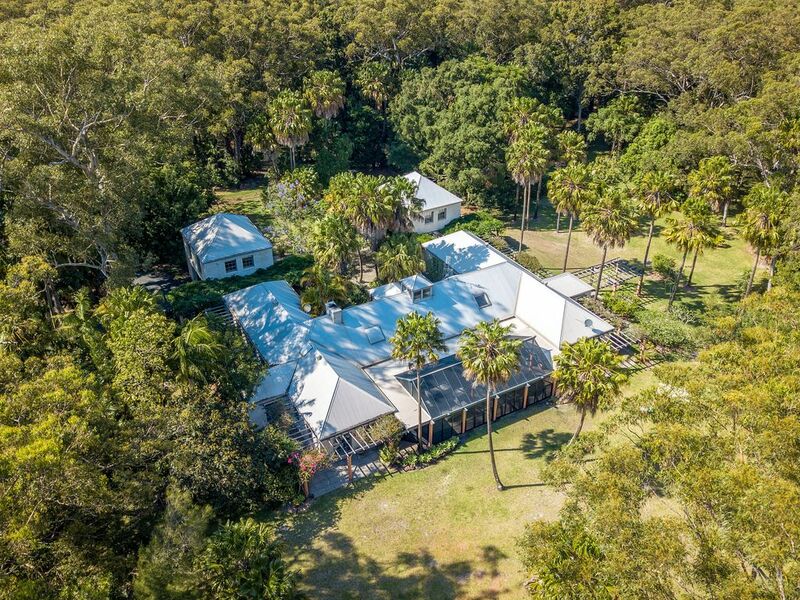 Turtles Crossing is a large, airy house nestled in its own bushland setting. It is only minutes from the village of Green Point and 10 minutes drive from Forster. It comfortably sleeps 10 and has a enormous living/dining/kitchen room with a large fireplace. There is also a games room with ping pong and pool tables, a library, a TV room with Austar and video and a surround sound music system. There is also a 20 mt swimming pool and an all weather tennis court. The house is fully equipped. Linen can be supplied for an extra $10.00 per person. Turtles Crossing is in Green Point in the Great Lakes Area. It is 10 minutes drive south of Forster - an easy 31/2 hours drive north from Sydney. The great surfing beaches of Blueys and Boomerang Beaches are only 10 minutes drive to the south. The property is adjacent to Booti Booti National Park with wonderful bush walks and the opportunity for bird watching. Or you may want to walk along the deserted, pristine stretches of 7 Mile Beach or try a spot of beach fishing. The beaches are spectacular - only 10 minutes from the great surfing beaches of Blueys and Boomerang. Elizabeth Beach is patrolled in summer for those who like a more gentle surf. There are opportunities for scuba diving, snorkelling and beach fishing.Wallis Lake, only 150 metres from the house, provides many activities for all the family. The shallow, white sand beaches ore ideal for small children, while close by, it is possible to ren equipment for all water sports - sailing, kayaking, windsurfing, pedallos etc. We love Turtles Crossing! Such a fantastic place for the whole family - it’s well maintained, clean, with plenty to do and so much space to accomodate a large group. We had a group of 5 couples stay at Turtles Crossing, my first impression when I walked in the door was ‘oh my goodness this place is huge. It’s a really well laid out house with the main living area all open plan, the kitchen is fantastic with a butlers pantry, The is kitchen is very well equipped with plenty of pots, pans, utensils, crockery & essential items. Leading off the kitchen is a big dining & lounge room. The screened outside area has a big dinning table, lounges & a great bbq. The bedrooms are huge and very comfortable, there’s 3 bathrooms, a separate room with a tv, board games and books, a nice little spot if want some quiet time. The games room has a ping pong table and a pool table, there’s a toilet & upstairs is the 5th bedroom. There’s also a lovely pool and tennis court, children’s playground, also a cubby house for the kids, also plenty of room for kids to run around. This house was perfect for a relaxing fun weekend with friends, we plan on coming back hopefully for longer next. Colin the caretaker is extremely helpful and a lovely fella. Thanks Alison - your review is fantastic. Colin said you left the house in immaculate condition. We would be very happy to host you again. This is our second time at turtles crossing and we are already planning our third. It’s having a small resort all to yourself. Caretaker, Colin, is super helpful but gives you plenty of space. The house leaves you wanting for nothing and is an endless source of entertainment for the whole family. Wish we’d found it sooner. Thank you for this review. Its good to know how much people enjoy Turtle Crossing. Colin will be pleased when I tell him about your comments.